Like I mentioned last week in my Wishlist Wednesday, I love dressing for the 4th of July and have found so many cute options for the holiday weekend! 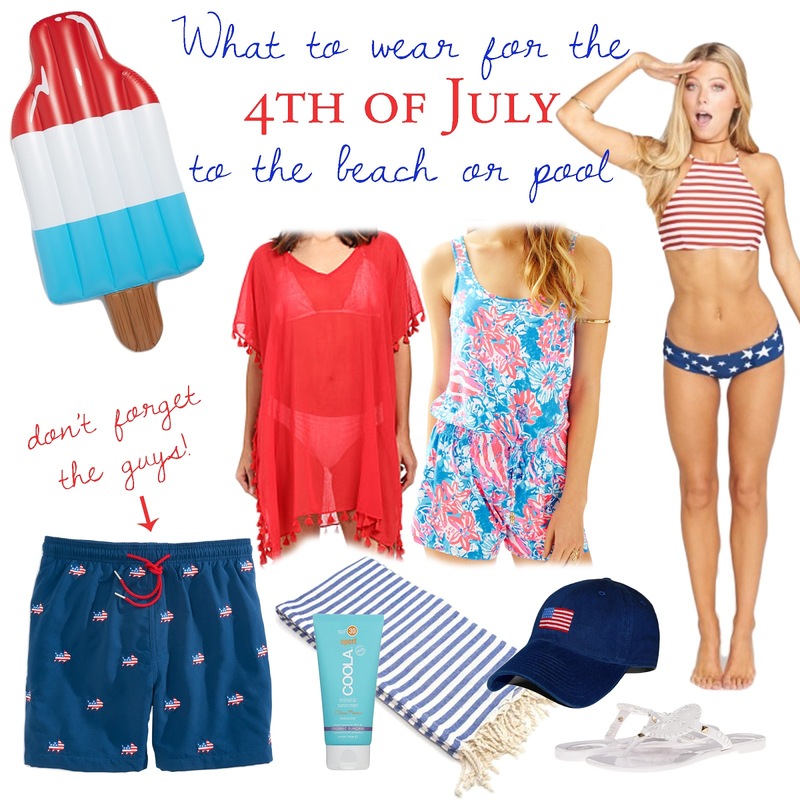 I usually like to spend some time at the beach/pool so I have some casual outfits for that and then some a little dressier for fireworks or 4th of July party. 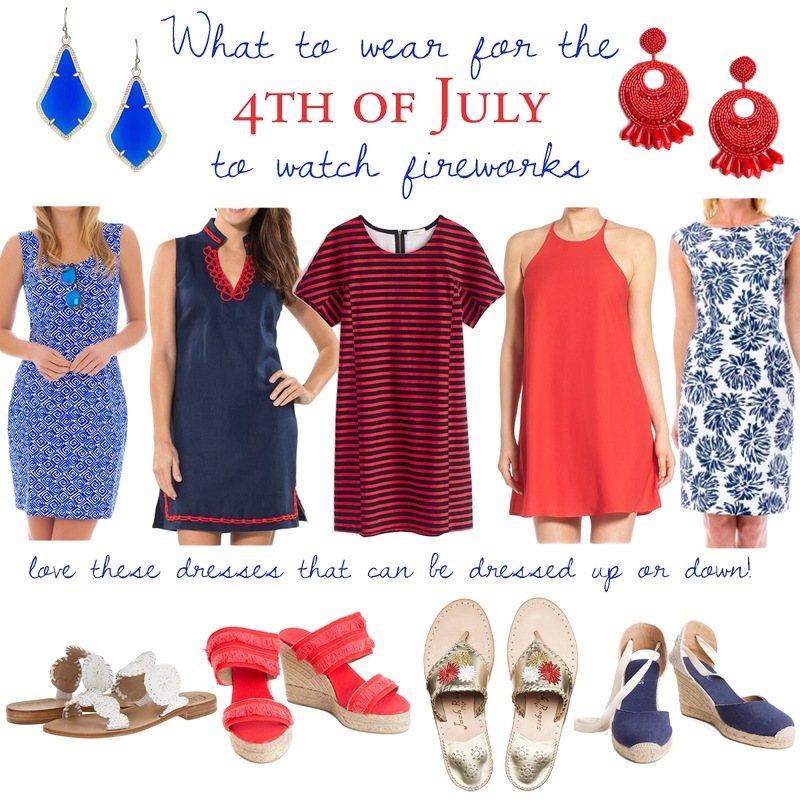 Since the 4th of July is less than a week away, now is the time to figure out what you're going to wear if you haven't already! I love Zappos, Shopbop, and Amazon Prime for quick shipping and I know some retailers like Lilly Pulitzer are offering free ground shipping for the holiday weekend. If you are going to buy online, do it today before you run out of time! This one of my favorites yet because as much as I love the 4th of July, I love love love packing/dressing for it! 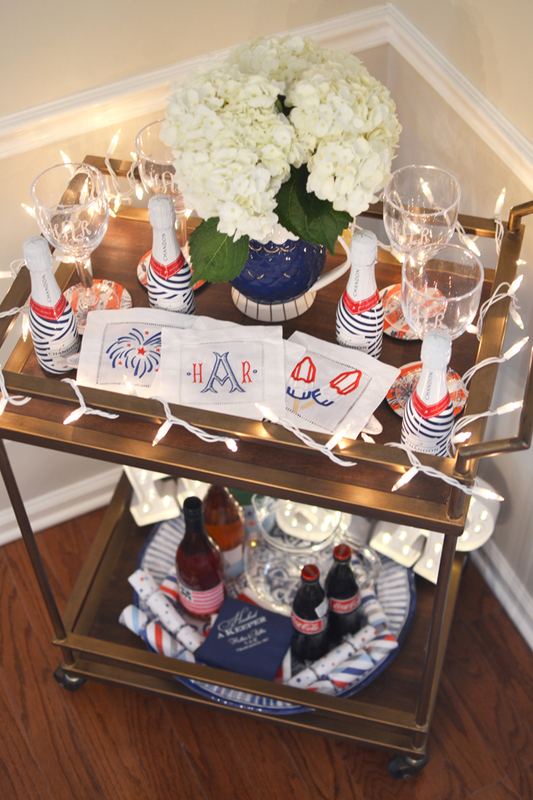 Navy and white is one of my favorite color combos and I love adding a touch of red for the holiday! Last year I wore a fancy white dress for the 4th (yep, I got married on a holiday- kinda crazy I know!) 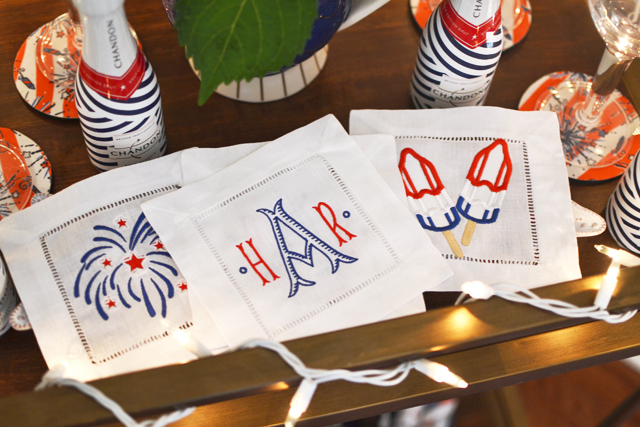 so I'm excited to break out my favorite red, white, and blue this year for the holiday weekend- which is in less than 2 weeks! 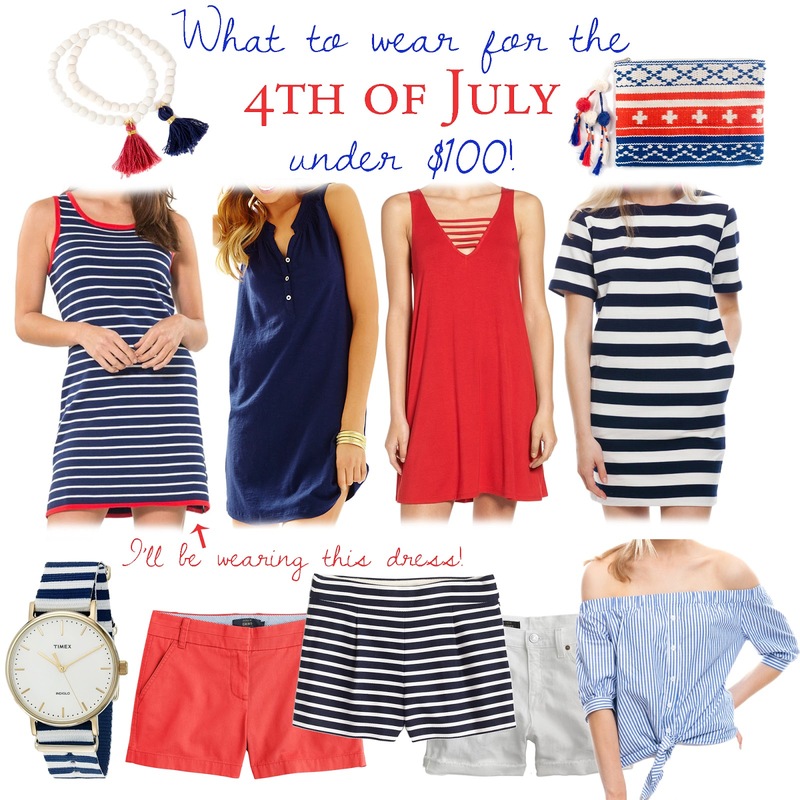 Here are a few things I am loving right now and I hope to add some more later this week because when I was doing research (browsing all my favorite retailers) for this post I have found so many great options for the 4th of July weekend, you can see them all HERE! See more Fourth of July favs here and below! 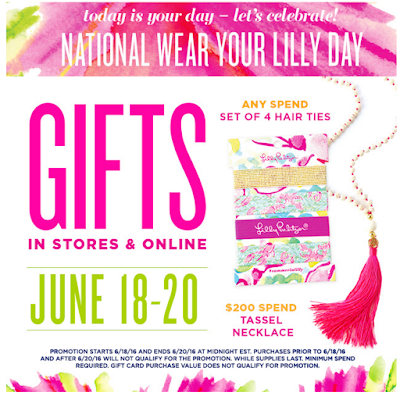 Today is the first day of SUMMER which also means it's National Wear Your Lilly Day! Though most of summer is "wear your Lilly day" for me, I always like to break out my favorites on the first day of summer! 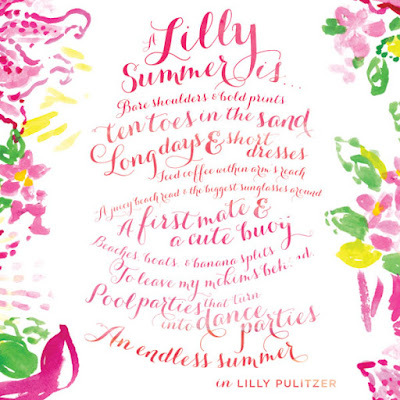 I've gone back through the archives to find some of my favorite Lilly pieces from the years past! 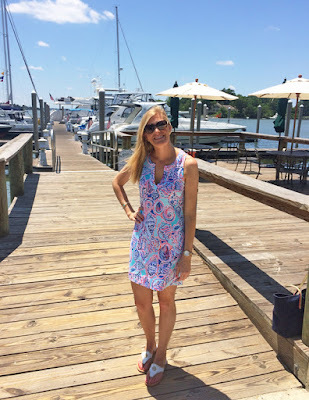 One of the first Lilly dresses I owned! I had gotten tops and bottoms before but this was my first dress that I wore to my college graduation! I loved this maxi dress the very second I saw it and wore it to celebrate my friend's birthday on Daufuskie Island a few years ago. This print was just rereleased so you can get something in it again- I just wish they would bring back this style maxi dress! 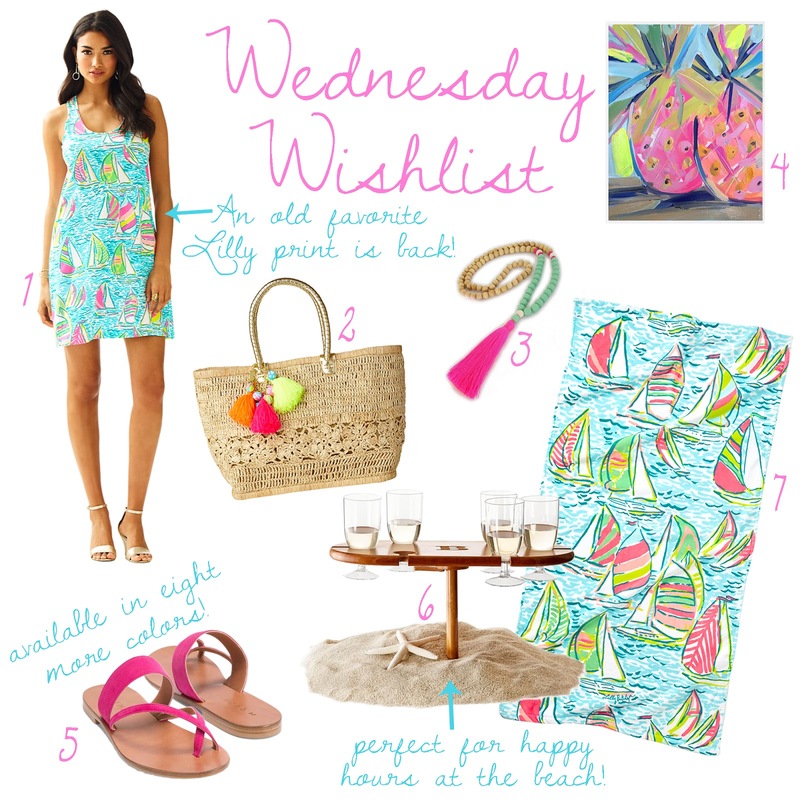 This was another one of my first Lilly dresses and to this day is still one of my favorites! It's from the Jubilee collection and has the most gorgeous beading and is a classic Lilly shift style! Celebrating my bachelorette weekend with two of my best friends who happen to also be Lilly lovers- you can almost always count on all of us wearing Lilly when we're together! All of these styles are back this summer in new prints! My friend Jen on the left is in the Iggy Cutout Shift, I'm in the Melba Jumpsuit, and Lindsey's wearing an Elsa Top! I wore this cotton shift so much last summer and am so excited that they've brought this style back in new prints! Last summer my mom and I both had blue and white in mind when we met for last minute wedding planning wearing coordinating prints! I fell in love with this dress when it came out summer 2014 but bought the Janice Shift in this print because I knew I could get more wear out of it. When I was trying to find a dress for my rehearsal dinner last summer, which also happened to be 4th of July weekend- I knew I had to have this maxi dress for the special occasion! 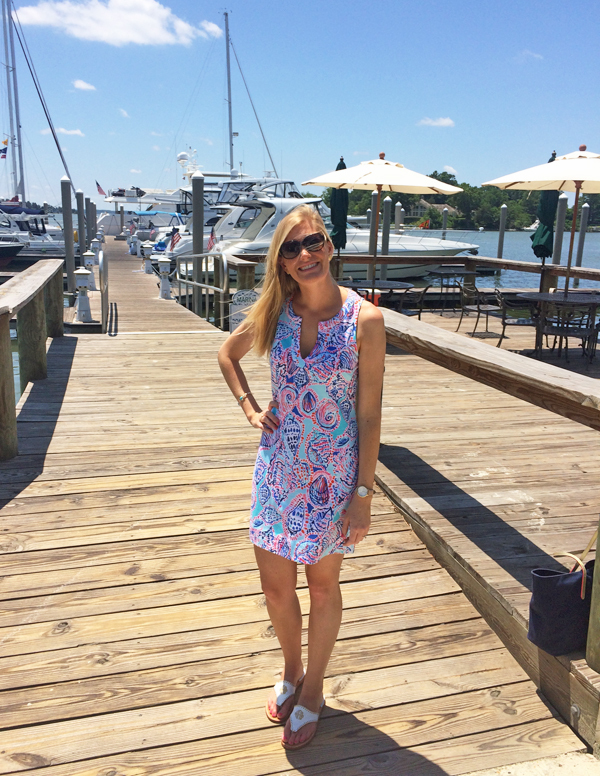 This Sophie dress was the first thing I packed for my trip to Palm Beach with my family back in March. I've mentioned so many times how much I love this style and the built in sun protection! 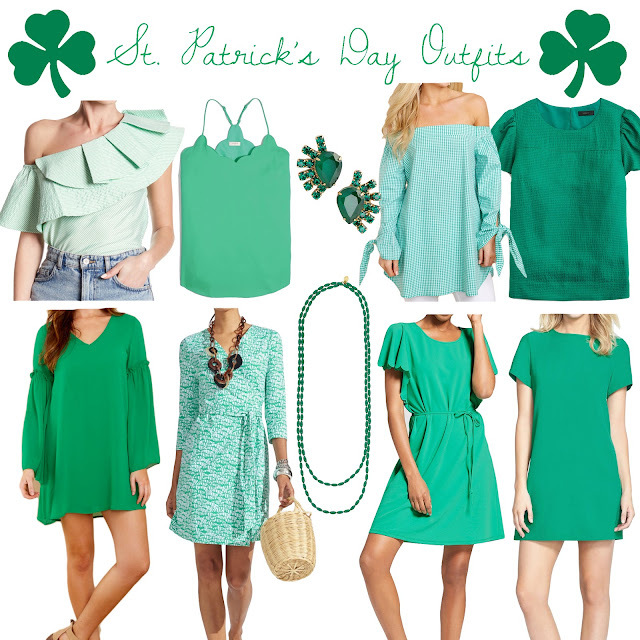 Shop my favorites from the new arrivals below! Hope you're having a great Wednesday! 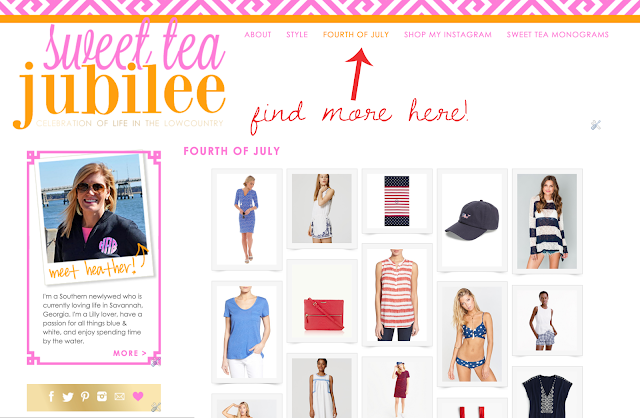 I hate that I haven't been able to post more on the blog the last couple weeks. 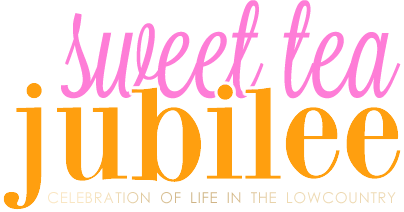 I've gotten into a new routine that has been great for working out and working but hasn't left me with as much time to create posts for this little blog of mine, but I really hope to try and find more time soon! 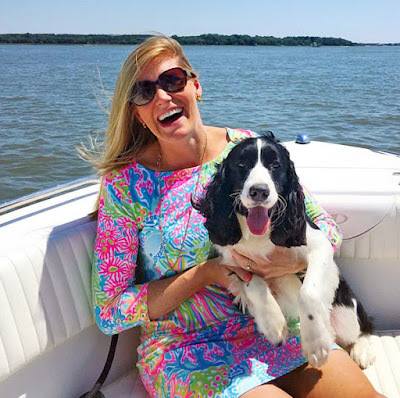 If you're a fellow Lilly Pulitzer lover, you're probably as excited as I am about the new pop-up of the You Gotta Regatta print! This print was originally released summer of 2012 and I quickly bought it in a maxi dress, shorts, and tote bag (lol at my all of my IG filters back then!) 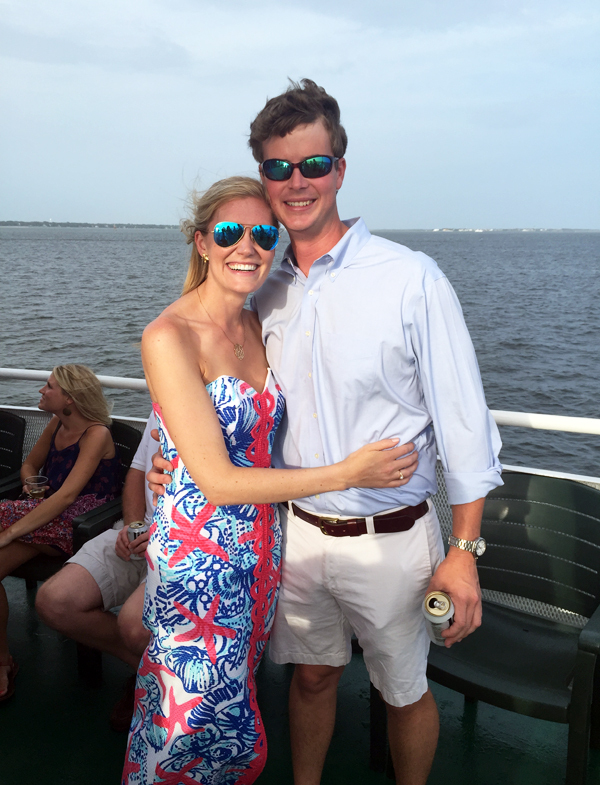 I sold the maxi dress last summer because I didn't wear it that often any more and wanted to buy another maxi dress for my rehearsal dinner (I'm constantly buying and selling Lilly!) I love that this new tank dress is so similar to my old dress, just in a shorter style! The popover that I considered buying this morning has already sold out in most sizes! Ah! Has anyone else picked up anything in this pop-up print? Sounds like it's going fast! I am pretty excited about this bamboo Picnic Drink Table and think it would be so perfect for summertime happy hours at the beach! The base screws into the top so you could easily throw it in your beach tote with a chilled bottle of rosé and these cute printed wine glasses! How fun would it be to pack a picnic basket with snacks and enjoy the sunset... I think that needs to be on my summer to-do list!